I got the idea for these Chinese braised mushrooms and carrots from this black satin chicken recipe which is sweet and soy saucy. 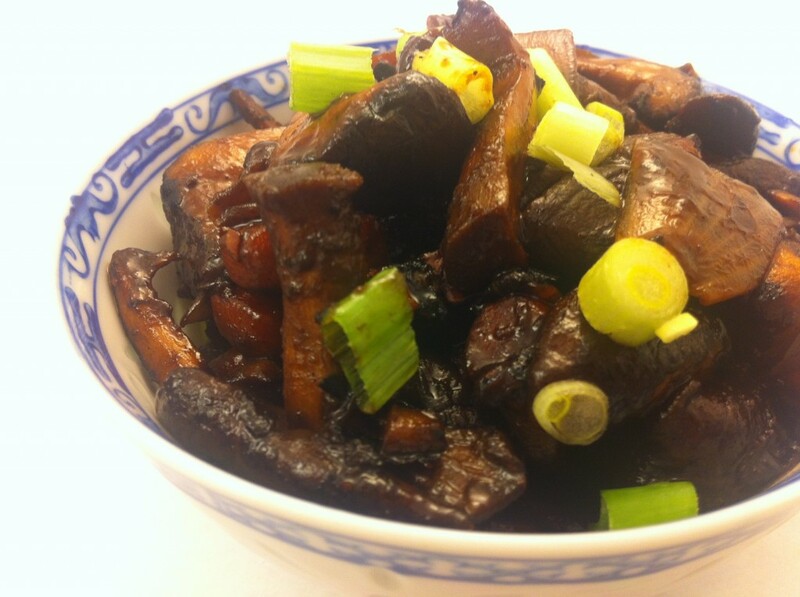 To make this dish vegetarian, I omitted the chicken, and used more mushrooms and carrots and added a little black bean paste. We enjoyed these braised mushrooms and carrots with brown rice and Trader Joe’s Chickenless Mandarin Orange Morsels. Heat oil in a wok and heat on high. Add carrots and stirfry until semi tender (I added a little water and covered them to steam them a little). Add onions and cook for a couple of minutes stirring often. Add ginger and mushrooms and cook until the mushrooms are soft and juicy. Add the black bean paste, soy sauce, rice wine, a little water, sugar and salt and cook until all the flavors meld.